See that red ouchie looking line? That is how I feel (down to the knee). On October 13, 2013 I went trail biking in the hills of Calabasas. It was a beautiful day and a great ride. The next day I woke up in horrible, all consuming pain. My entire right side felt swollen and I could not lie on that side and everything hurt. I just figured I pulled a muscle (really badly). I ignored the pain as best I could and still went mountain biking in Idyllwild two weeks later. Four more weeks later, I was still in horrible pain and decided to finally see a doctor, who said I had something called ‘sciatica‘ and I should go to physical therapy. In usual Sarah-Style, I went and did some mega research (such as ‘does sciatica and cycling mix?’). The REAL answer to that question is ‘why do you have sciatica’. And then once you know, THEN have a doctor/physical therapist give you a recommendation. 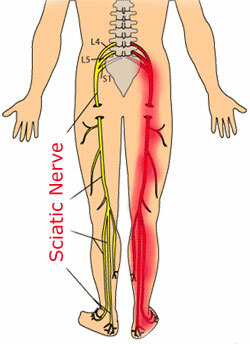 So continuing on, sciatica is a general term for pain along the sciatic nerve. You have this nerve that starts around your lower back and runs allllllll the way down your leg into your foot. If you have an extreme case of sciatic pain, you feel pain allllll the way down your leg. Mine only went half way down my leg, but my foot was tingly. I tried a chiropractor and acupuncture, both only very slightly alleviated pain. I hated the first physical therapy place I went to, so it was about a month (due to the holidays and chaos) before I went with another physical therapist. 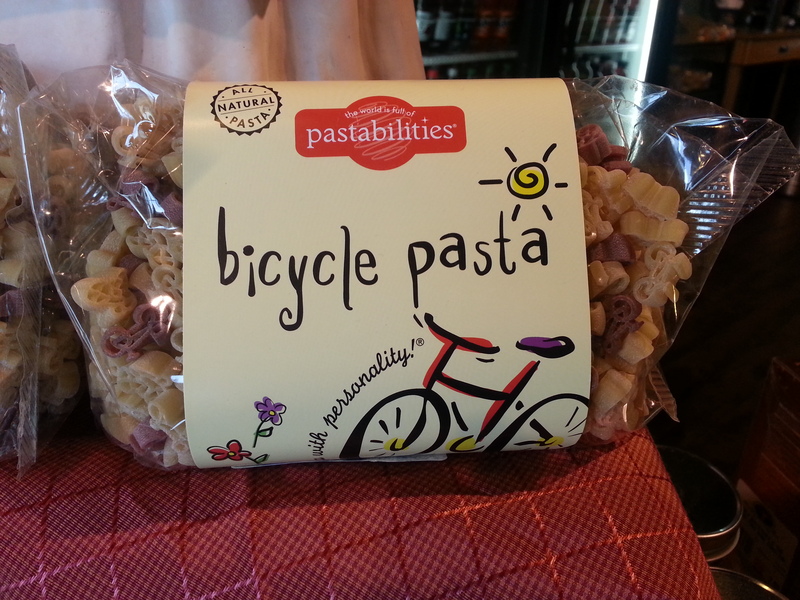 I really like the current place I am with; they said I should bring in my bike so we can check out my posture on the bike. We also do stretches, strengthening exercises, and a massage/muscle adjustment stuff (so it’s like a mix between a chiropractor/gym/massage therapist). I highly recommend getting an MRI to know EXACTLY what is going on in there. Don’t go to someone and have them ‘guestimate’ that they ‘think’ what is wrong. I went to three different ‘experts’ and got everything from ‘disk issue’ to piriformis issue, and I am not even sure what the chiropractor was going on about. Got my MRI results – MY particular issue is at the L5/S1, where the disk is pushing about 4 – 5 millimeters to the right (hence my right side pain). This is considered a ‘moderate’ case, where ‘severe’ would be 10 millimeters or more. Interestingly, biking hurts a lot less than walking! I can bike (on flat only) for about 1 hour (15 miles) before it starts to hurt. I can’t climb out of the saddle at all, that leads to ouchie, stabby pain. At the time of this writing, I was given an estimate of about 3 weeks of physical therapy and stretching for pain relief to occur. I was also advised to only do about 10 miles at a time on my bike for now. I do this stretch twice a day (and in physical therapy) and it helped a LOT!! !